Heat the oil in a large frying pan and fry the chicken for 5 minutes. Add the pepper and fry for 2-3 minutes. Stir in the salsa and cook for a further 1 minute. Meanwhile, warm the tortillas according to pack instructions. Serve the tortillas topped with a little lettuce then the chicken and sprinkle over some cheese, finishing with soured cream, roll up and serve. 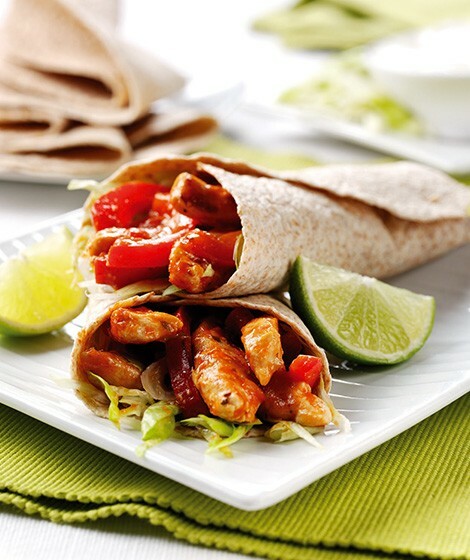 Replace the chicken with pork or beef or use a hot salsa for an extra kick.